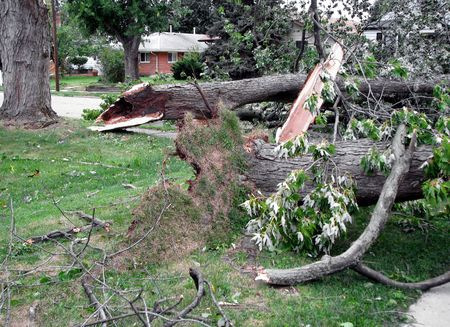 Pioneer Tree Service has over 30 years of experience in cleaning up after storm damage, including tree restoration and tree pruning of storm damaged trees done by our ISA Certified Arborists and MN Certified Tree Inspectors. Based on our experience and training for trees damaged by storms, we are ready to help save every tree possible. Unfortunately, some trees get destroyed and our team will get those trees safely and efficiently cleaned up for you. If you have any downed or damaged trees from the recent storms in the area, please call Pioneer Tree Service today at 763-238-5254 to schedule an appointment. You can also request a tree service appointment by filling out the request form to the right.